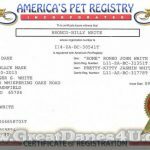 Bronco-Billy has had an early retirement as a result of Le Tigre’ coming of age! 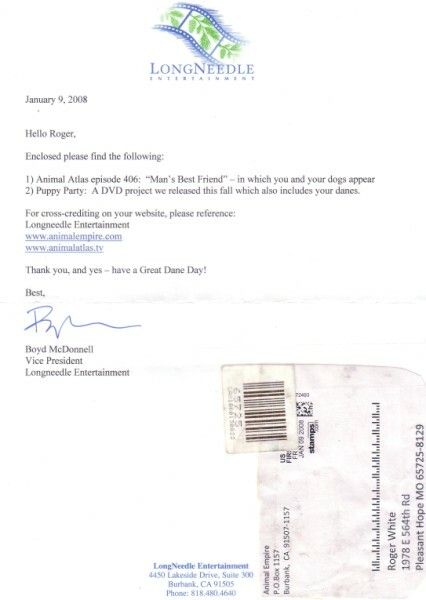 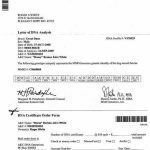 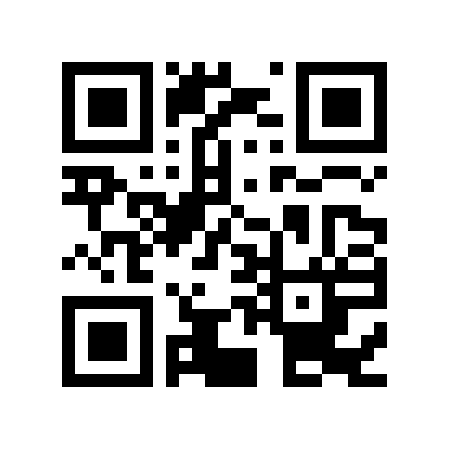 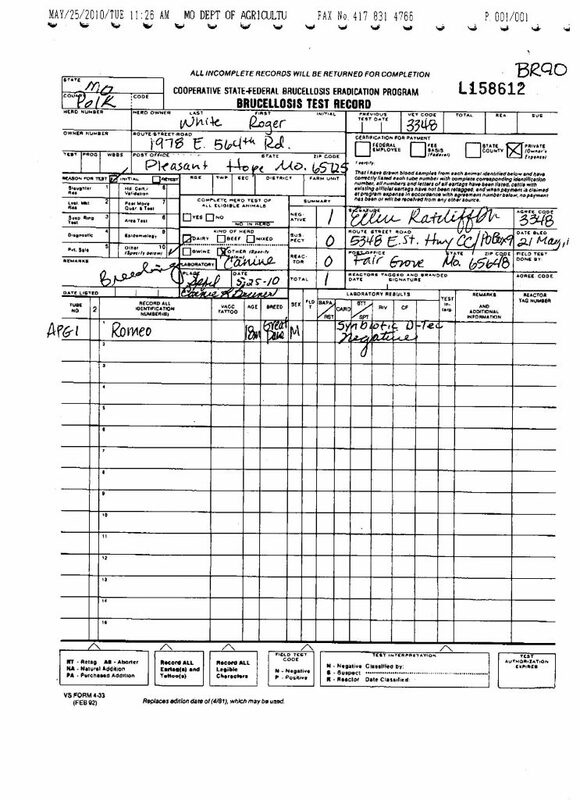 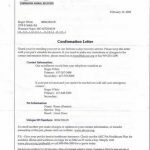 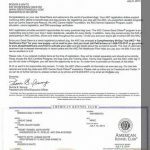 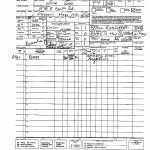 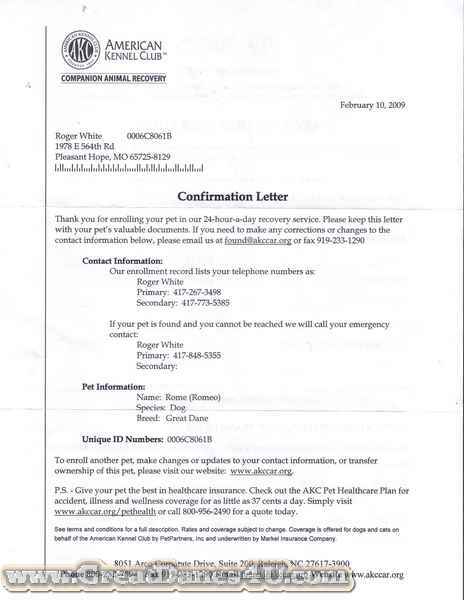 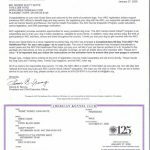 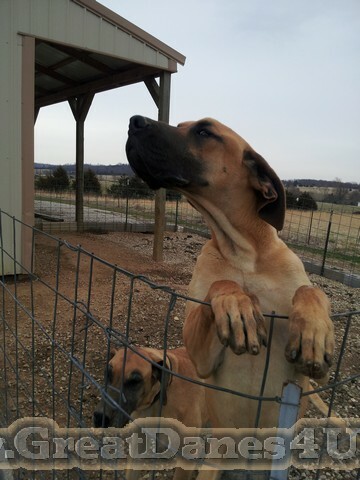 He has gone to a +3,000 sq ft home on + 200 acres near Columbia, MO. 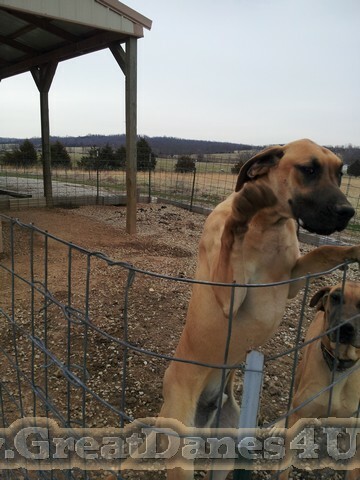 @< 3 yrs. 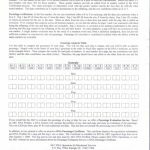 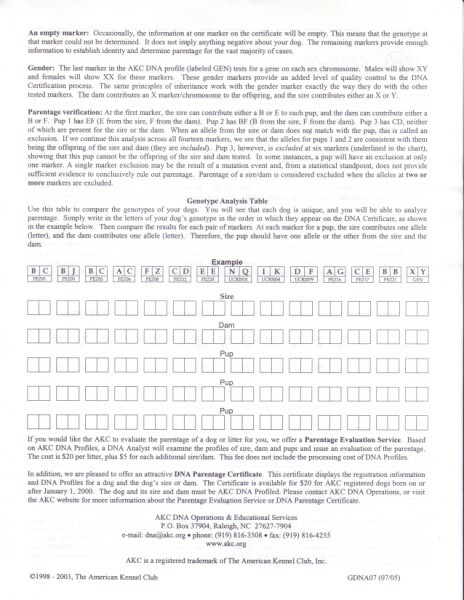 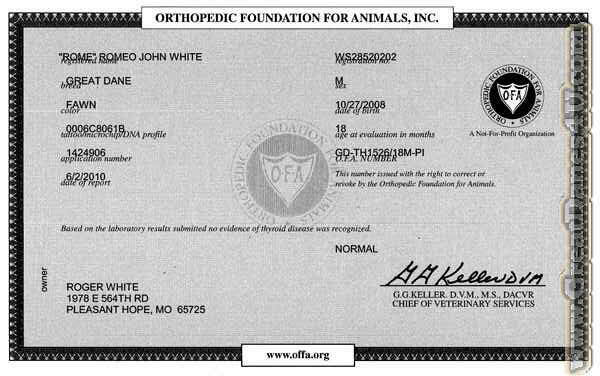 of age! 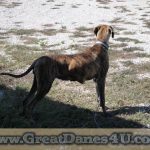 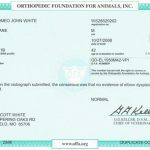 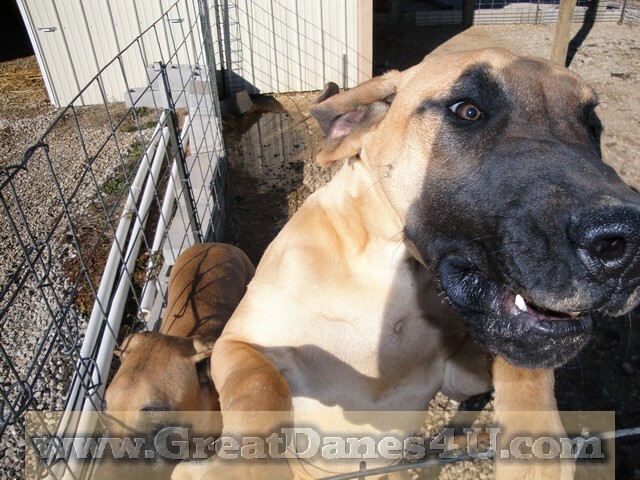 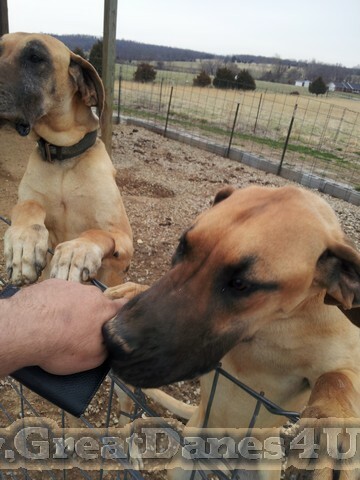 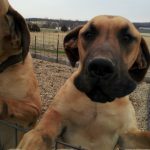 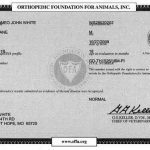 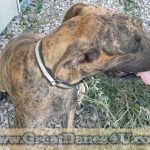 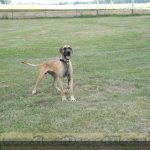 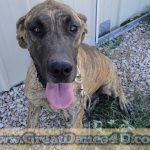 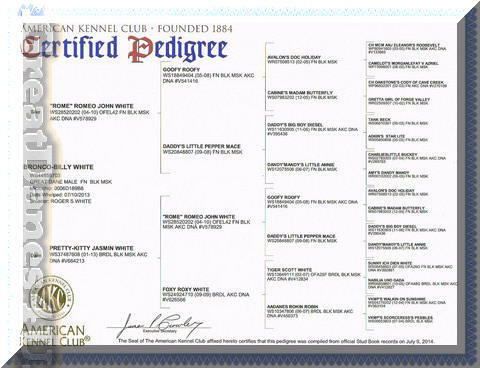 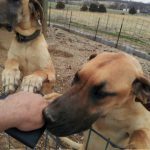 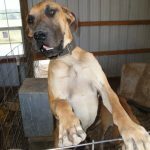 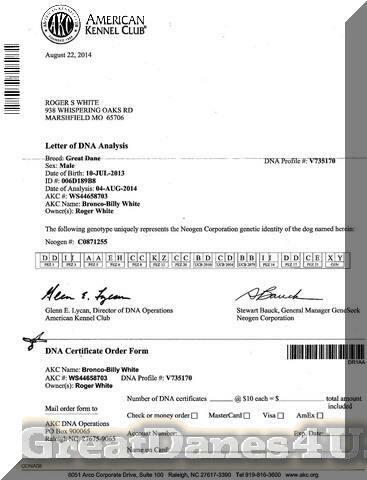 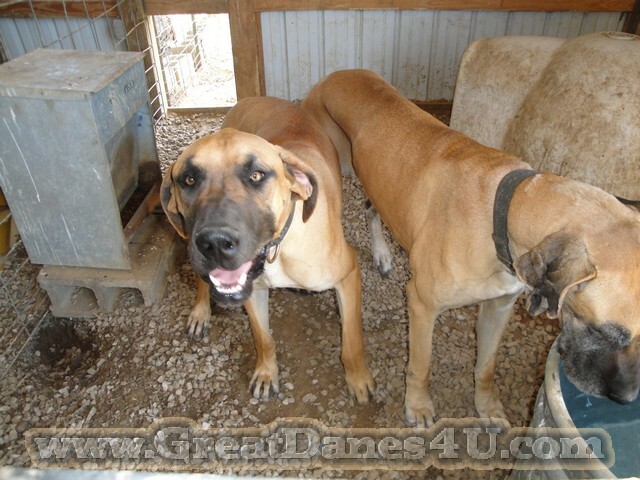 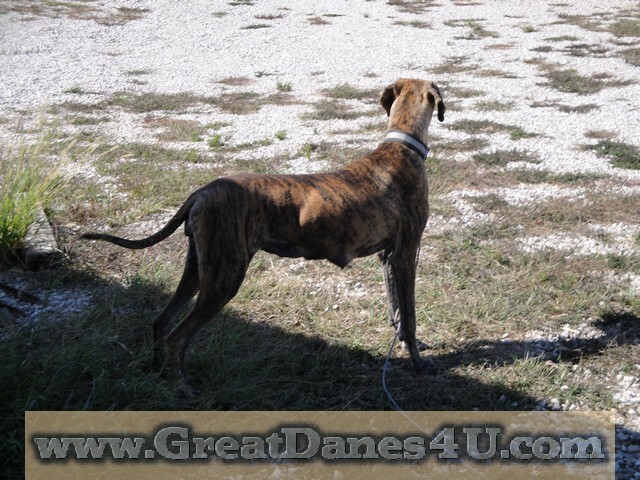 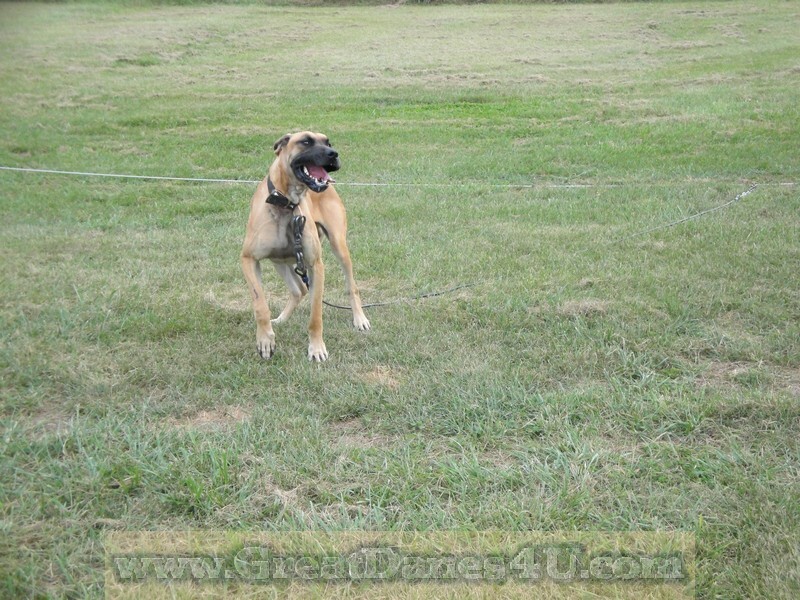 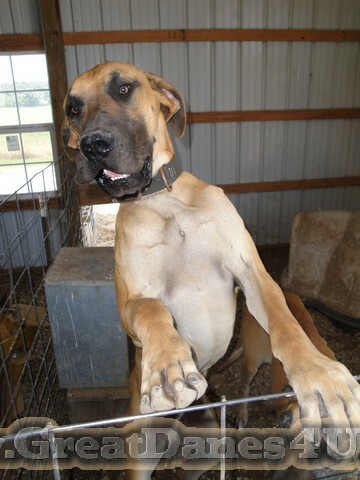 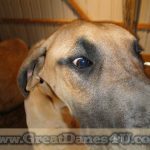 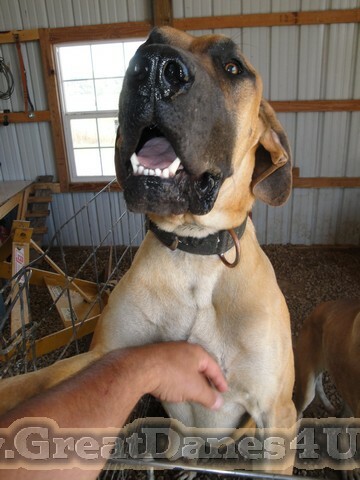 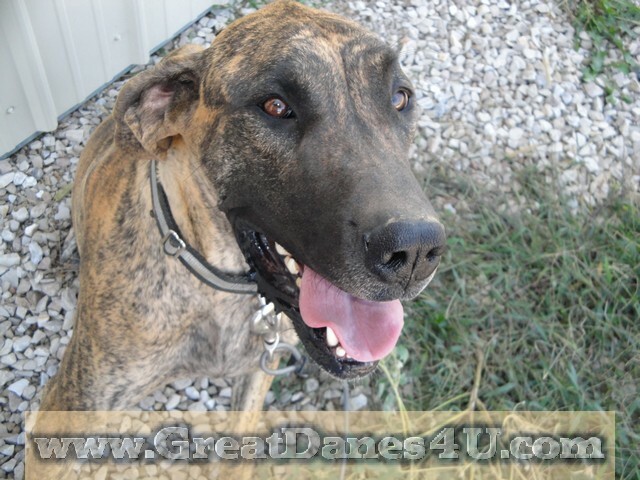 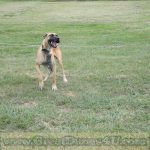 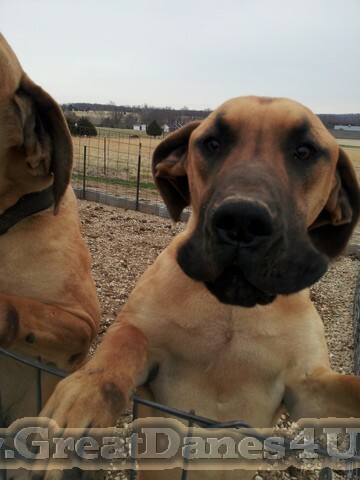 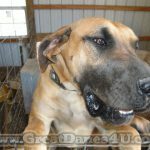 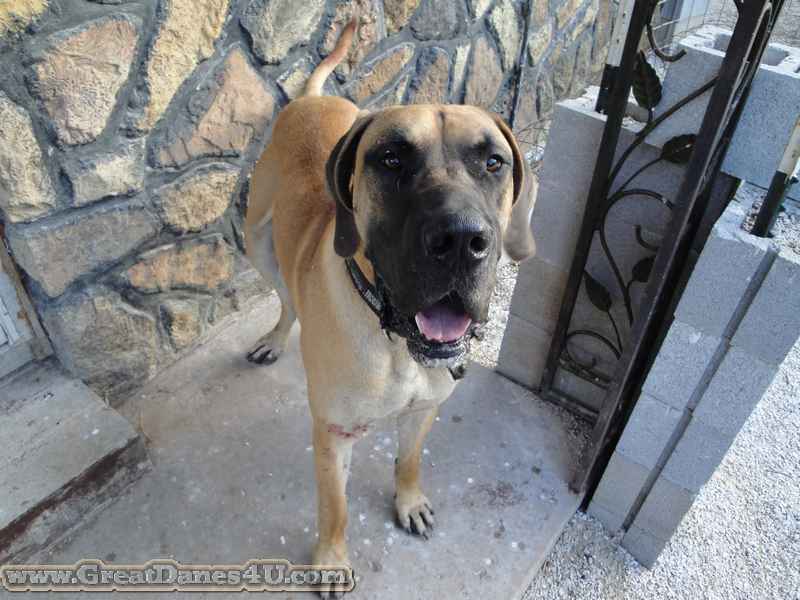 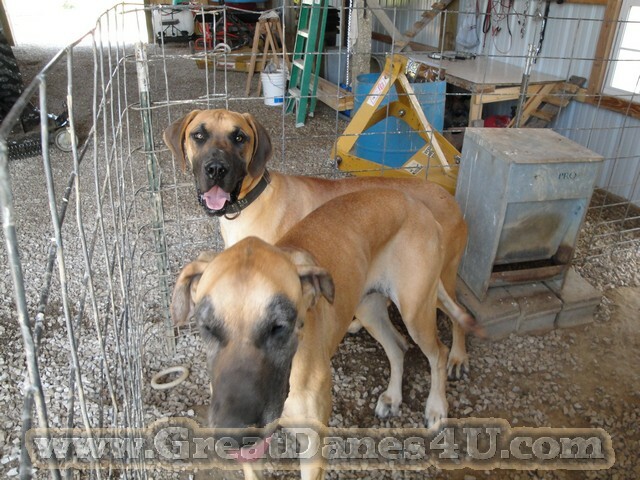 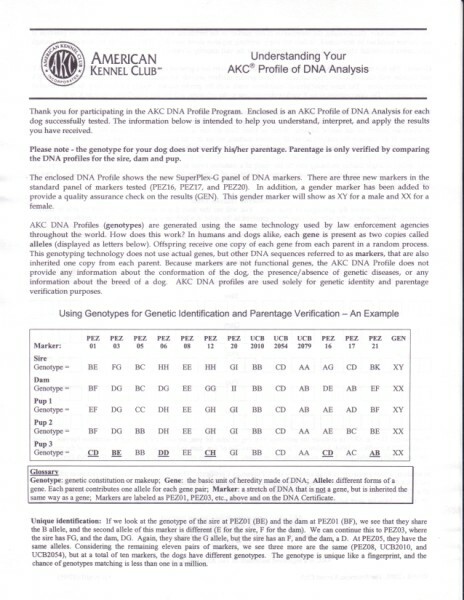 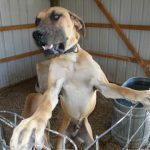 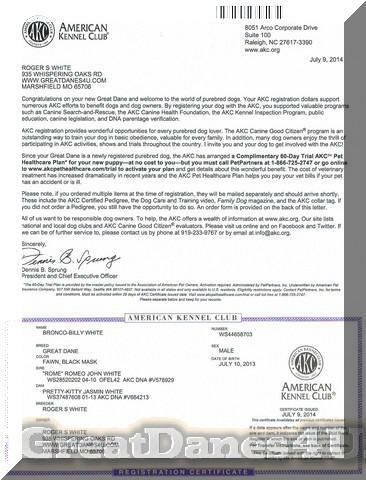 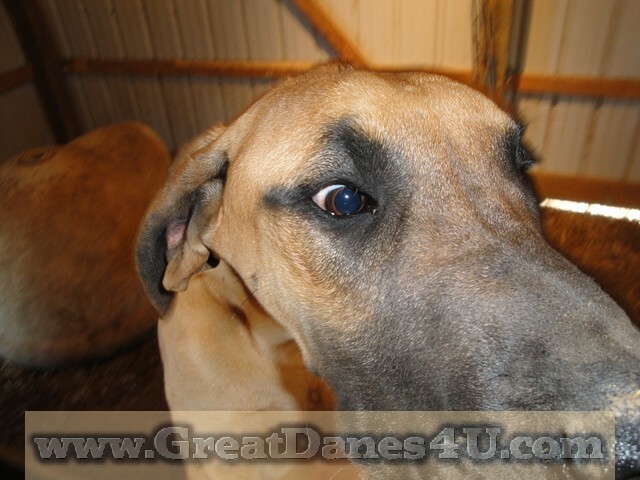 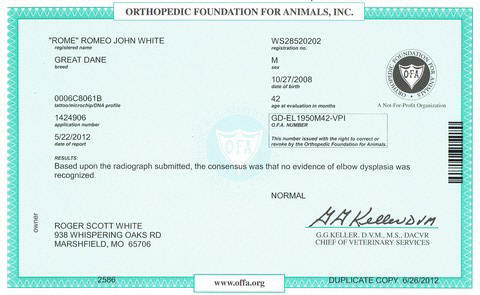 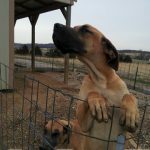 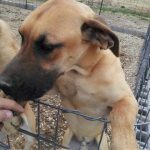 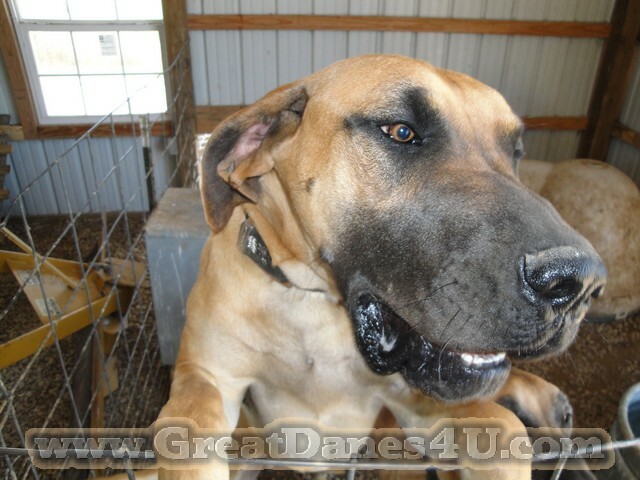 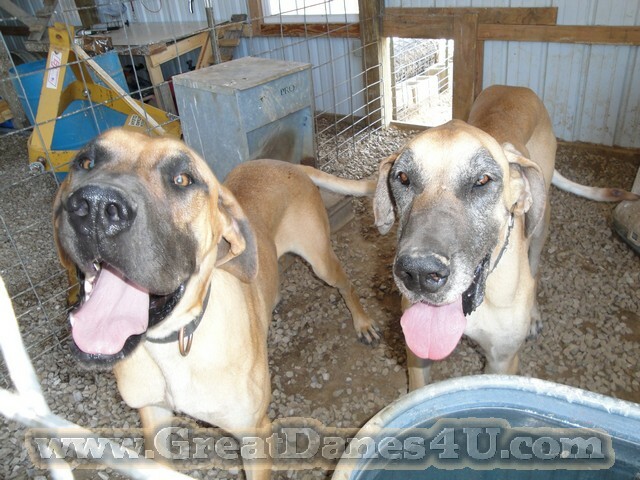 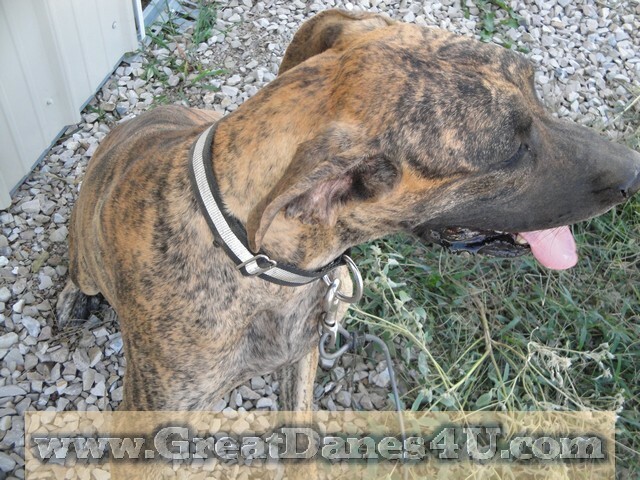 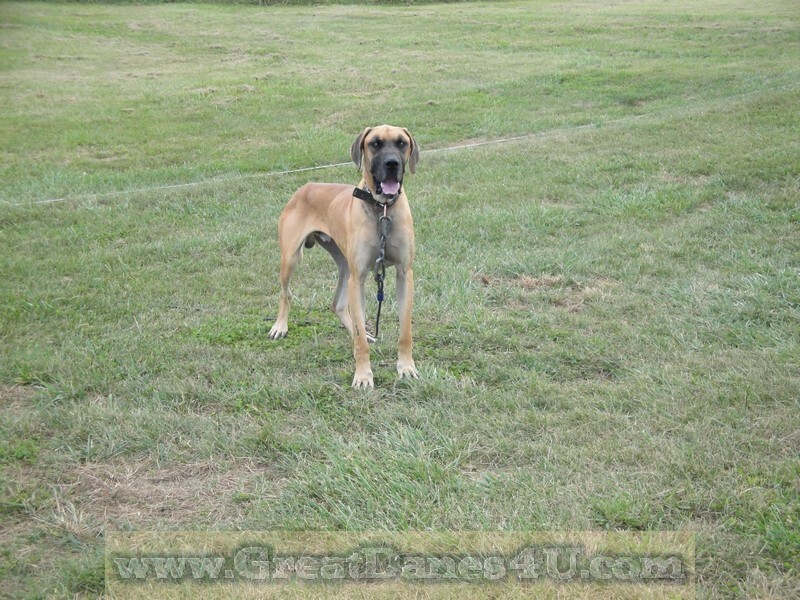 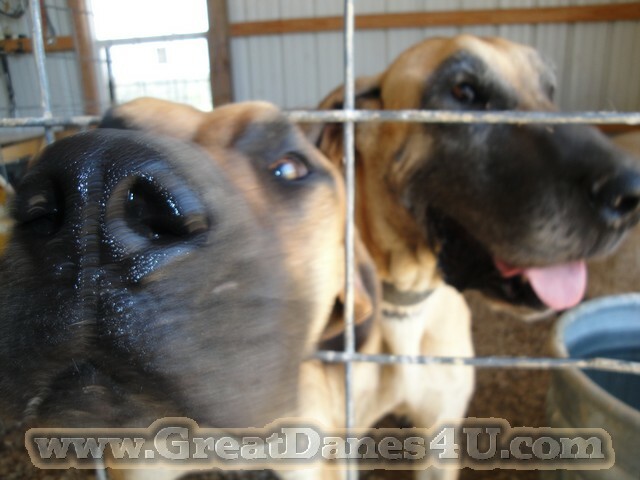 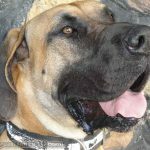 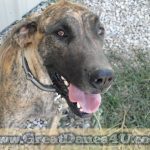 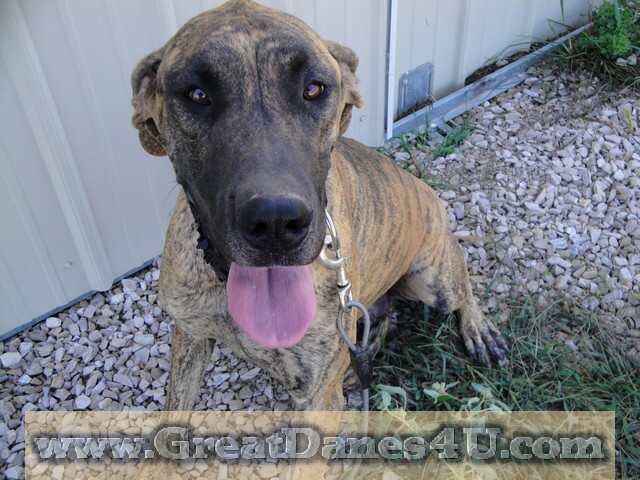 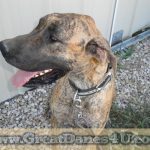 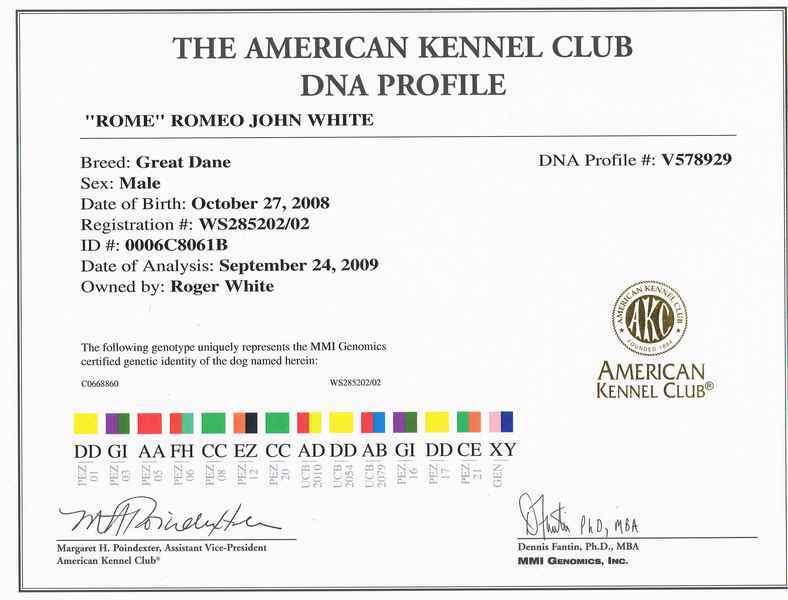 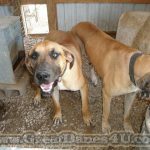 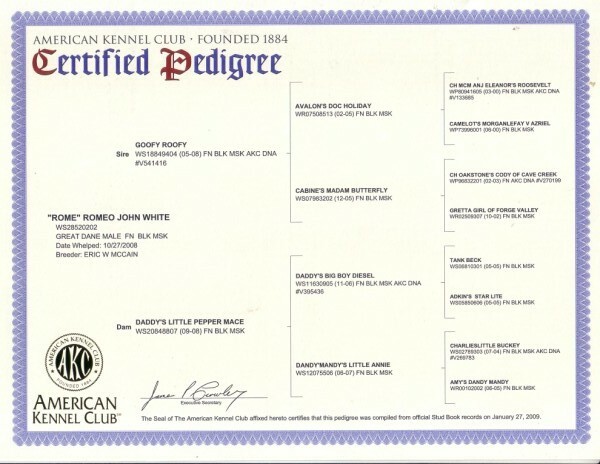 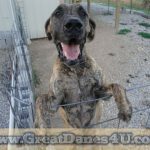 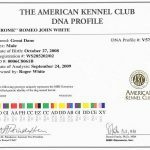 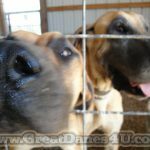 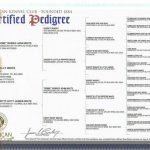 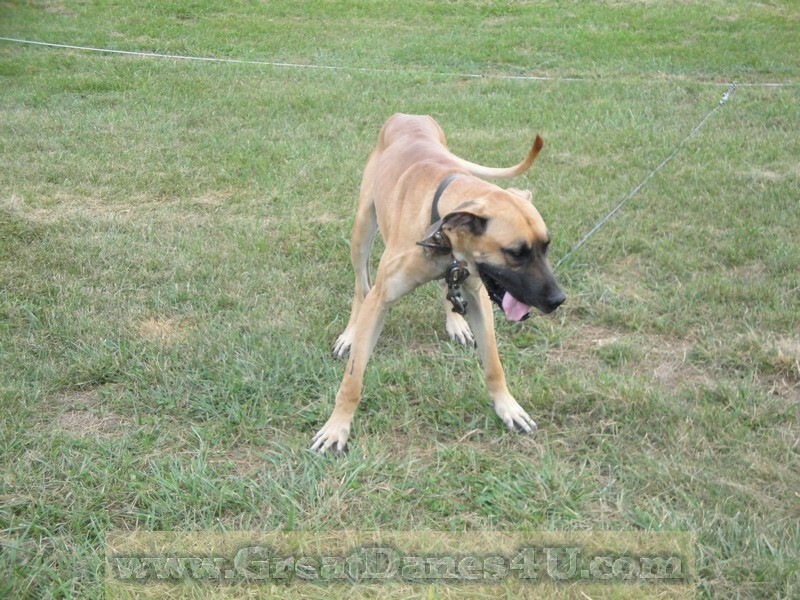 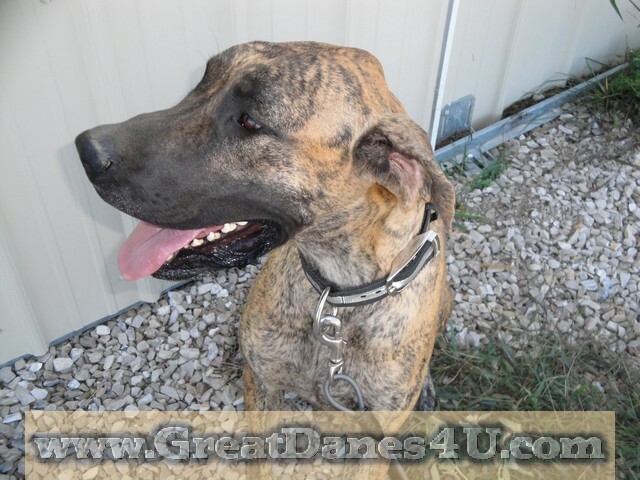 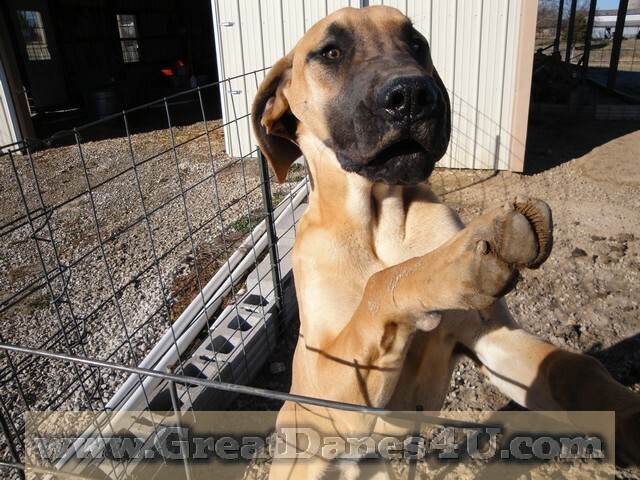 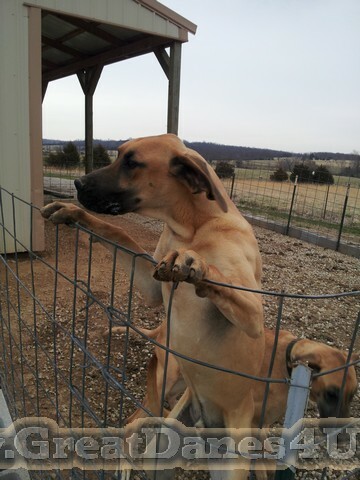 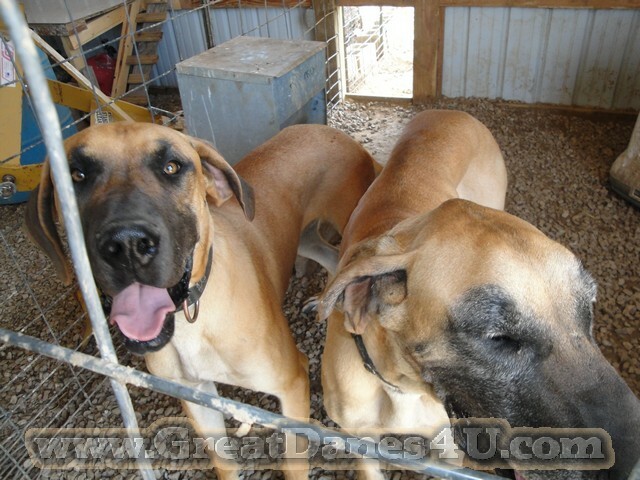 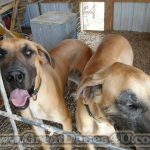 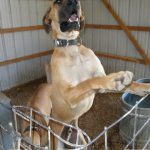 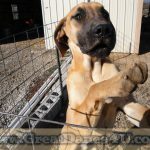 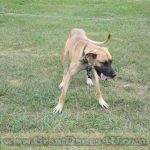 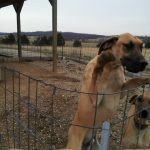 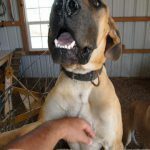 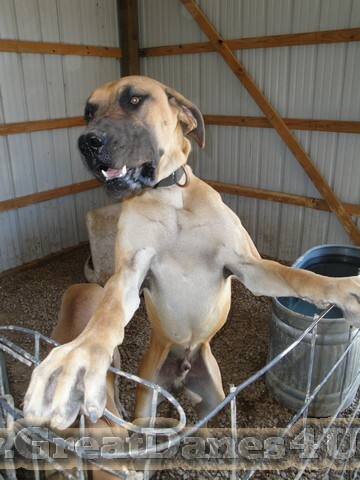 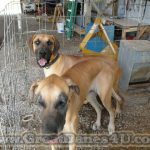 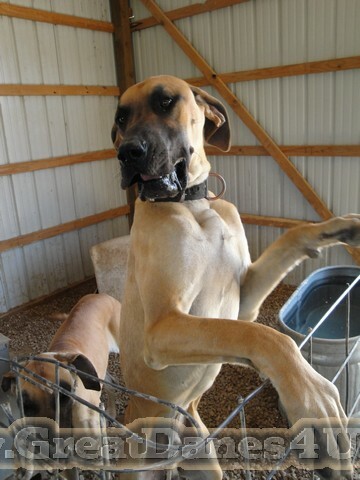 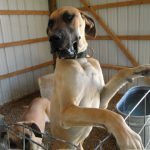 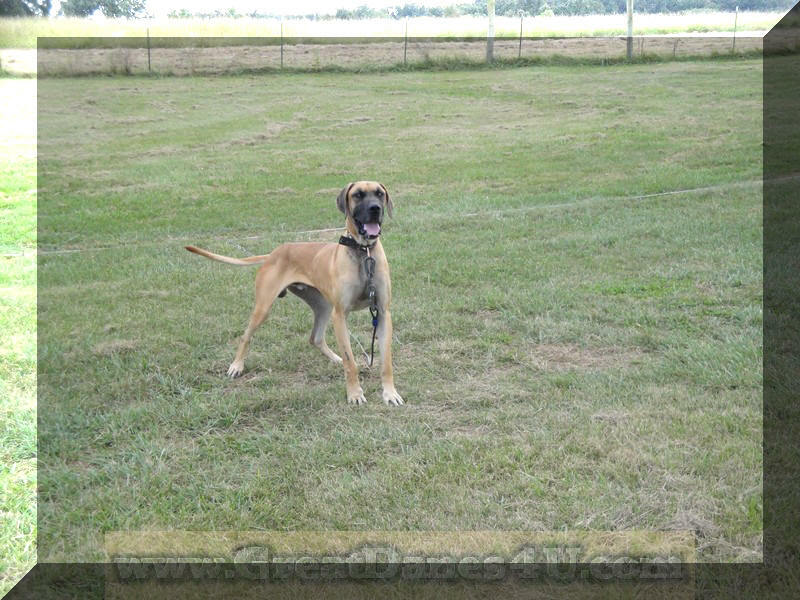 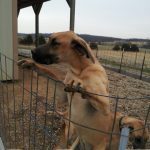 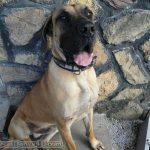 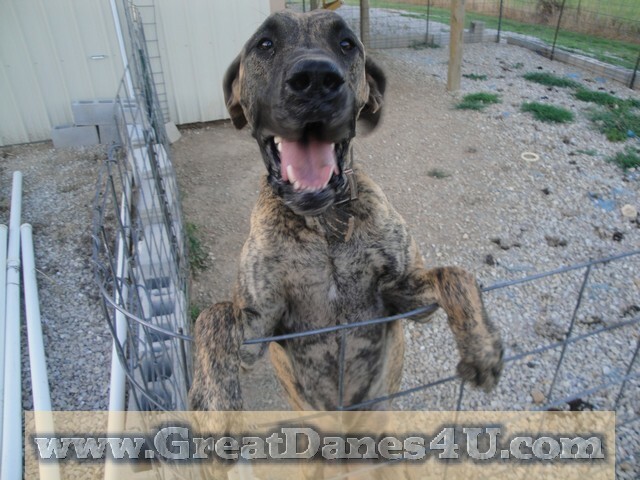 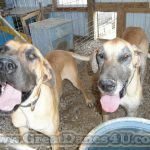 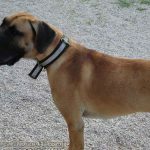 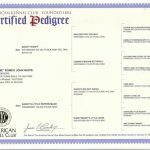 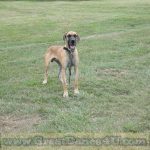 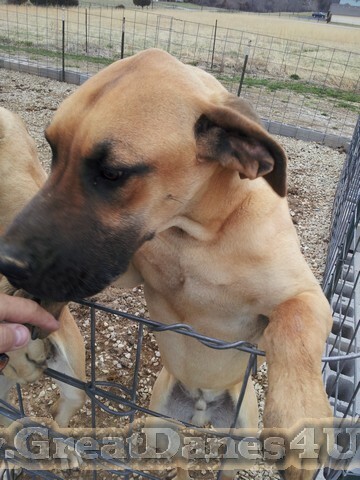 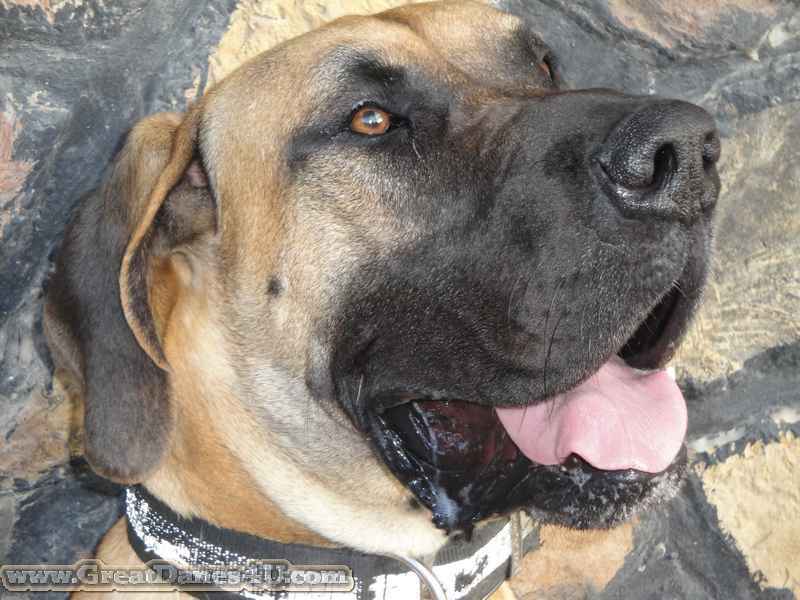 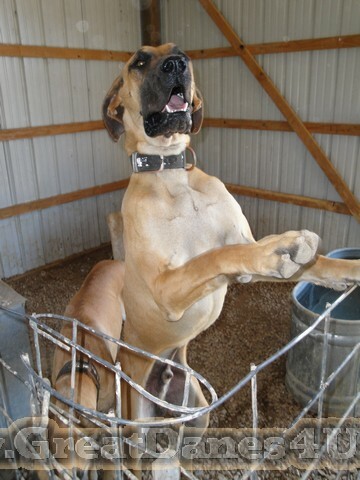 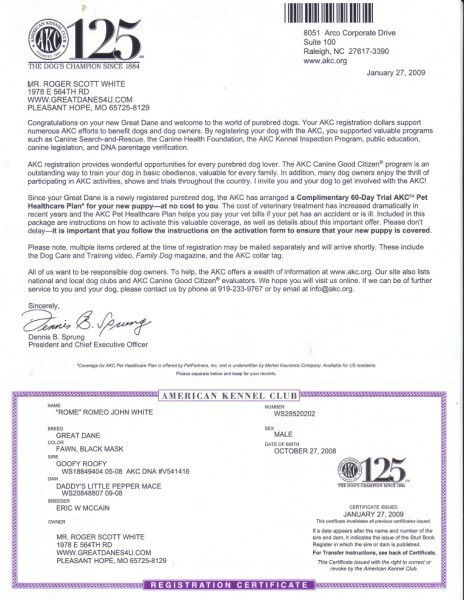 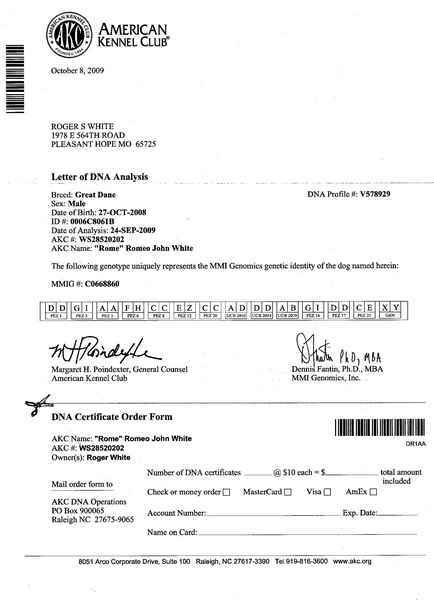 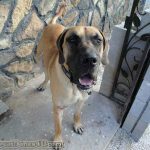 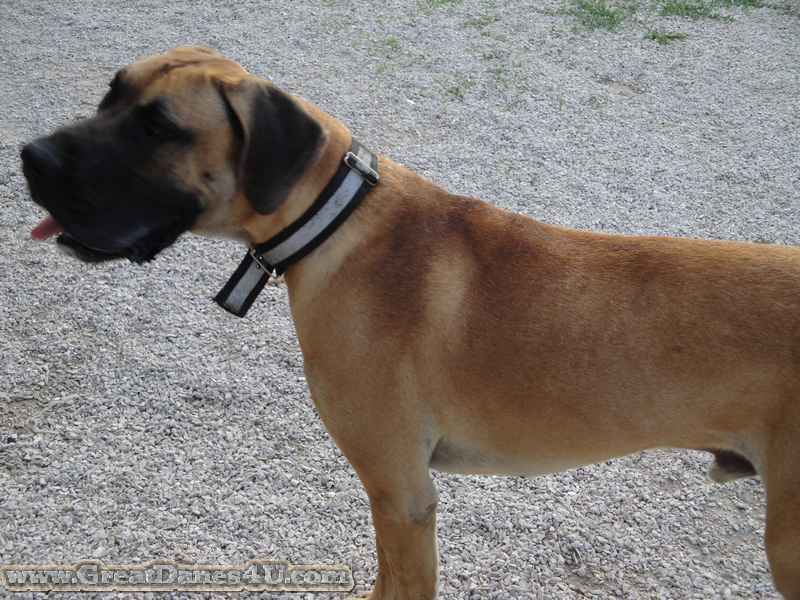 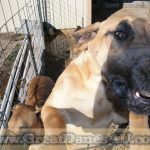 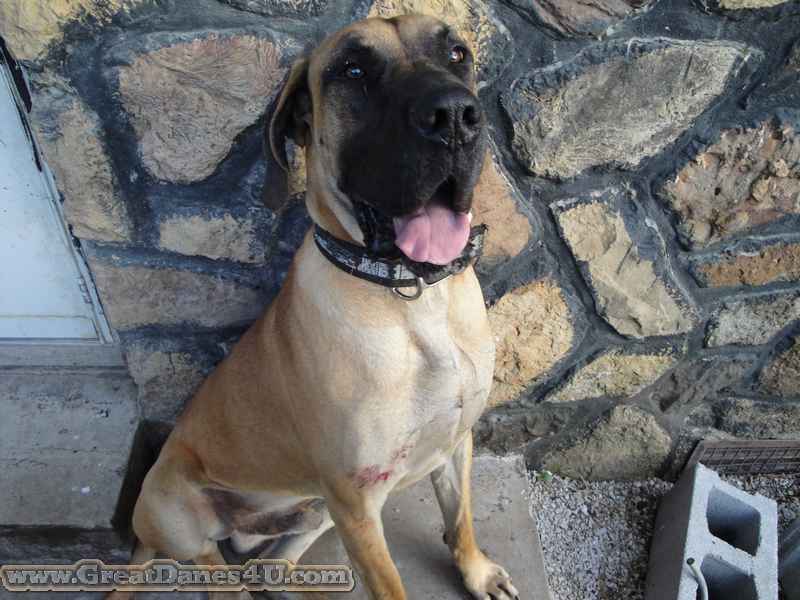 Bronco Billy is an AKC Fawn Great Dane stud is 5-Generation color pure, and is micro-chipped. 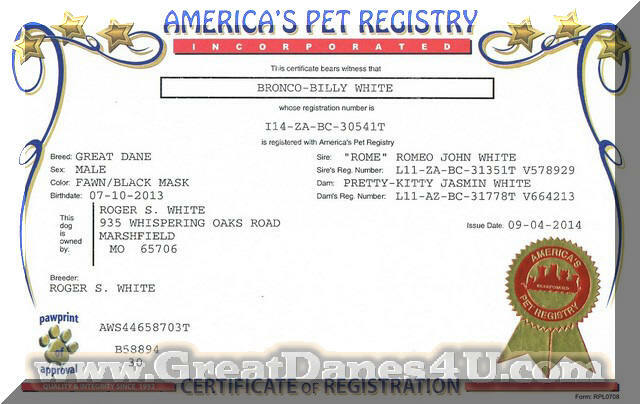 Bronco Billy is son of Romeo and Pretty Kitty.